Sorry, I could not tie them properly. Yeah - truth of my life - Understands Calculas but cannot tie shoe lace! 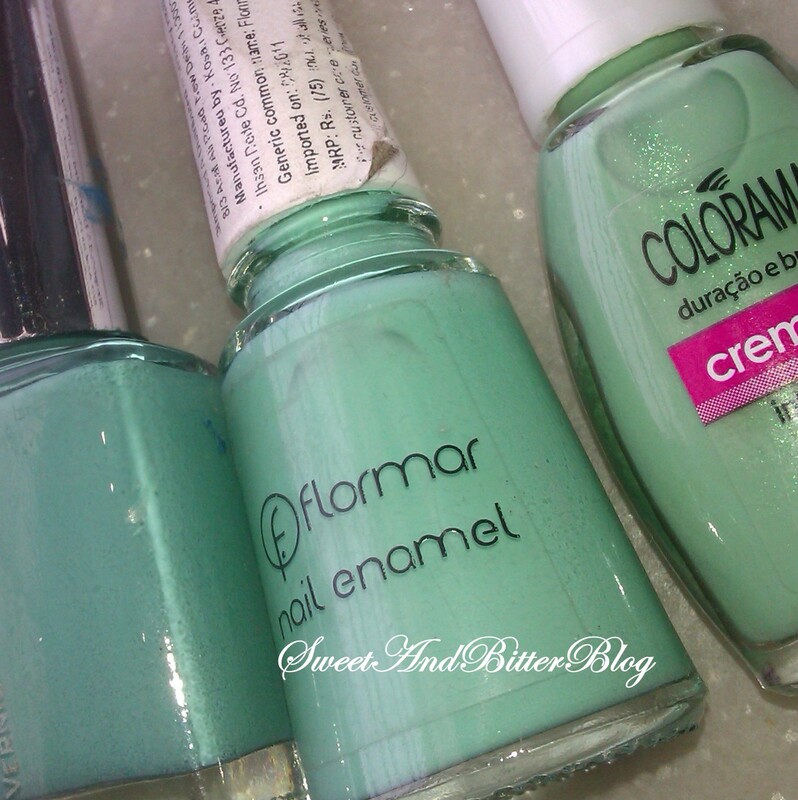 The close to mint nail polishes - Colorbar Exclusive 15, Flomar 424 and Colorama Absinto. The biggest problem is it is mint or pastel green or pastel blue? The line is just too fine every single time - specially in the artificial lights in the stores. Do you also like Mint? This reminds me that I have to get a mint drink Now! Like - RIGHT NOW! love them all!! !i have to drop down on bk market soon one of these days..
BK market has recently stocked many item - visit them soon. I am thinking of going there again next week. Oh my God! Now this is a true bargain. Where is this BK market? i have the colorbar nail paint... want the maybelline one too!!! minty shades are very mush in this season . i like your loafers and cant believe they are at that price !!! That satchel just for 400 ! Awesomee..
hooooooooooooooooooooo....i went there even when I used to live in Delhi. In fact I discovered it by chance! 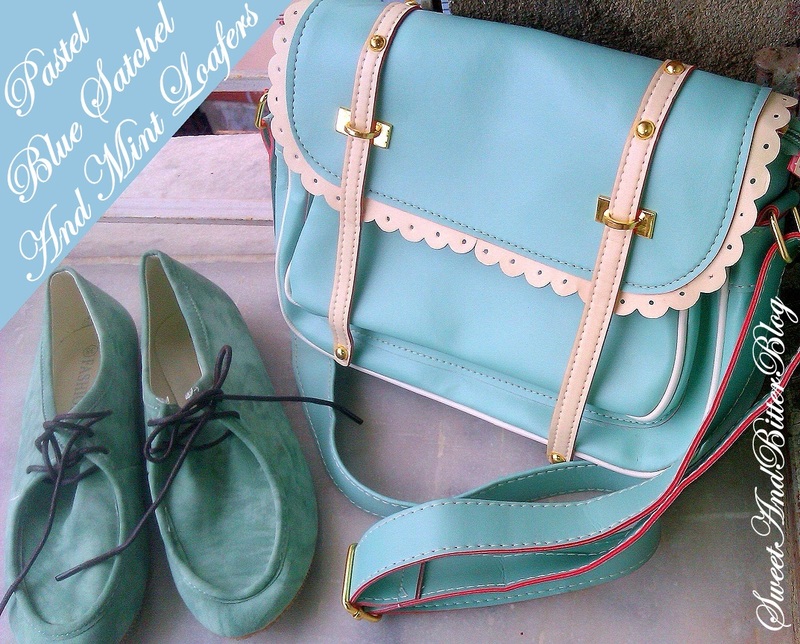 I love mint everything too..I have a mint sweater, and mint nail polish, planning on getting mint skinny jeans..loved the loafers, and bag...mint can be blue based n green based but I personally like the blue based one coz I'm cool toned n it suits me better. Pastel green, and pastel blue are totally different. awesome purchases :) just awesome!